We finally saved up enough money to buy a second freezer and I am so excited about it!! 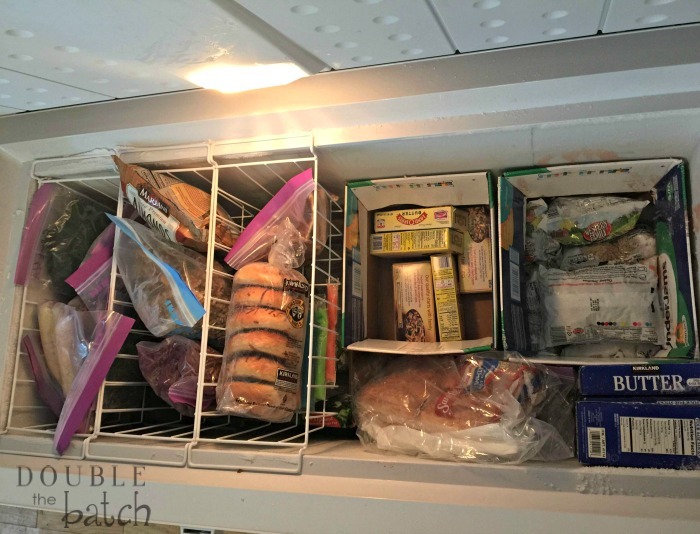 Since it’s Frugal Friday, I thought I’d share the money saving benefits of having an extra freezer, why we chose a chest freezer, and how to keep the darn thing organized! We chose a chest freezer for 2 reasons. The downfall to having a chest freezer, as most people know, is keeping it organized. If you just throw food into it without any thought of organizing anything, it’s like throwing your frozen food into the abyss of no return. By the time you find that food again, it may be so freezer burned and unrecognizable you will have no choice but to throw it out. Then you are WASTING money, not SAVING! 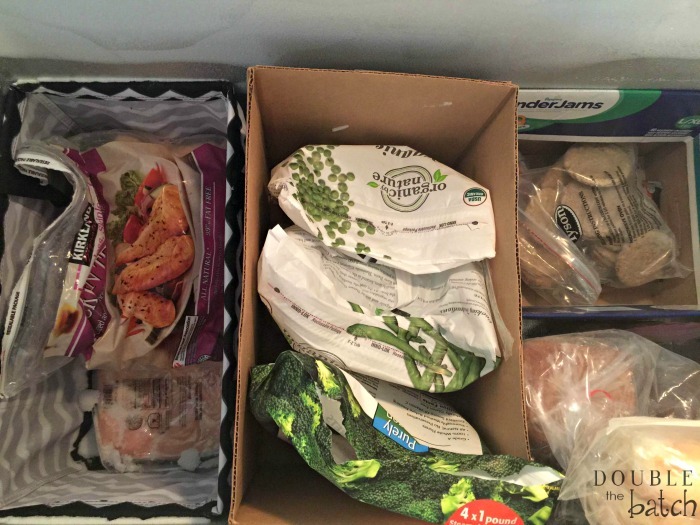 We have had our freezer for 2 months and so far the way we have it organized has worked very well and we have had no problems whatsoever getting to all of our food. 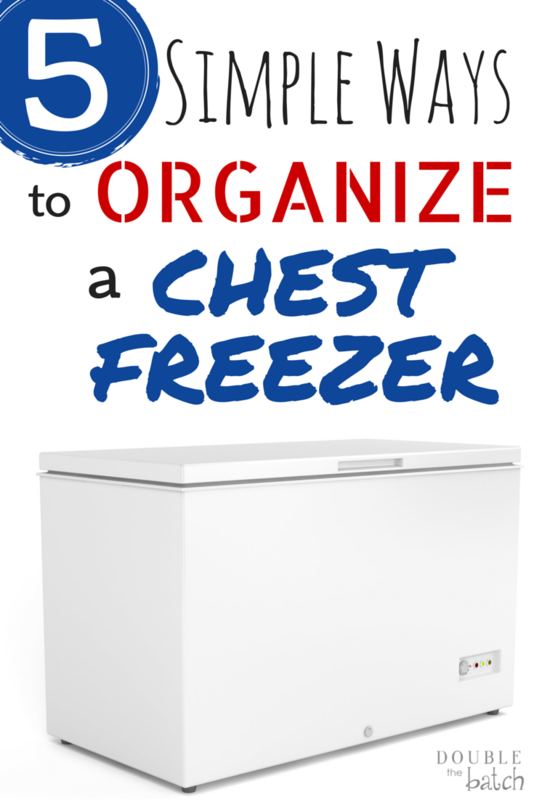 Here are the 5 ways to organize a chest freezer! 2. Organize by different food groups. Your food will be so much easier to find if you know where to find it. I put my frozen veggies in one box, frozen chicken in another, along with dairy, et. If your freezer comes with sliding baskets in the top, keep the foods you use most often in those, or smaller items that could get lost easier. Top Layer: Slider baskets with foods I need access to faster, Dairy, smaller frozen vegetables. (All of my fruits and convenience foods are in my other freezer) As you can see I still have lots of room for more! 3. Label foods with expiration dates. You might also want to label them with the contents if you are freezing your own leftovers or baked goods. YOU might know what’s in that ziploc had, but the rest of your family might not! I keep a sharpie in the cupboard close to my freezer bags. 4. Rotate! 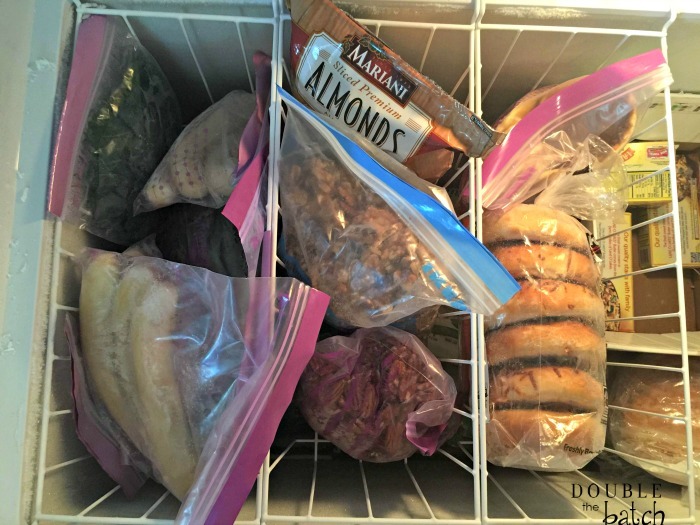 Check the contents of your freezer before you shop for more food and plan your meals around what you have first. Labeling also helps with the rotation process. 5. Keep a mini windshield scraper in your freezer to maintain the frost that builds on the sides. 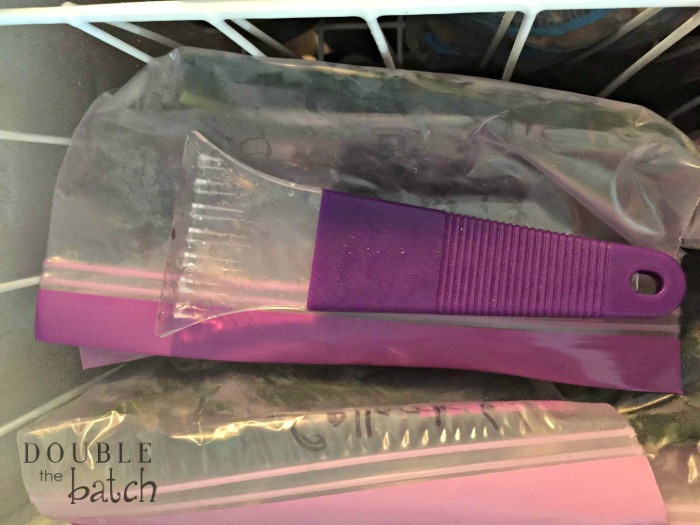 If you do a quick scrape on the sides of your freezer at least once a month, you won’t ever have to do the big ‘DEFROST’ that is such a pain! There! Now do you feel better about using a chest freezer? You can do this! Feel free to comment below if you have more awesome tips!